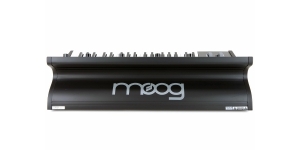 Little Phatty is the last synth designed by Robert Moog. 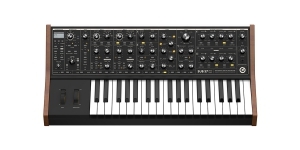 He tried to create a simple and affordable analog instrument. 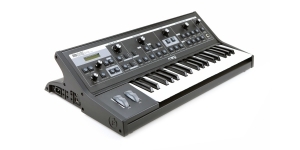 2 analog VCOs can be transposed within 4 octaves. Each generator has its own volume and wave shape (smooth transition) regulation. Trianlge, saw and square waveforms are produce as well as quite complex transitional forms. Unfortunately there’s no noise generation. 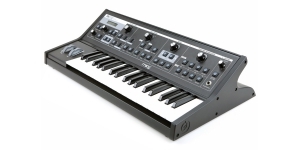 Little Phatty used VCF with a classic Moog feeling. There is overload function and also cut-off frequencies and resonance are adjustable. VCF and VCA are controlled by two envelopes both of which have separate ADS regulation and may deactivate the release stage if needed. 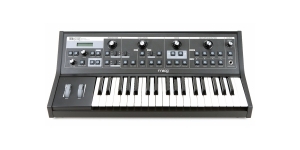 LFO generates signal within 0.2 to 500 Hz and offers 6 waveforms. 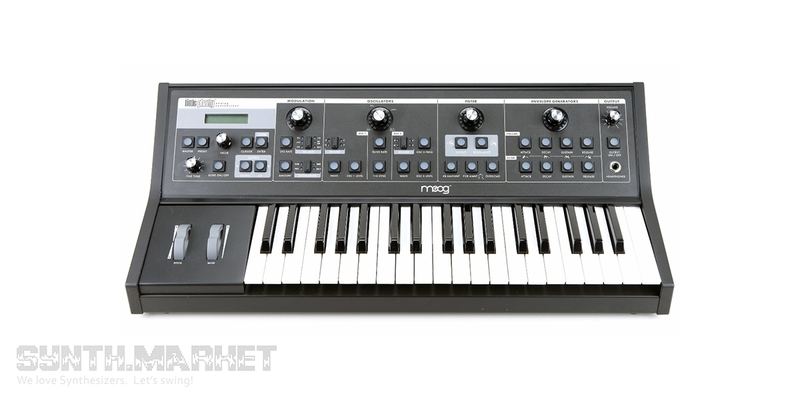 100 presets will store and upload the settings thanks to MIDI implementation. 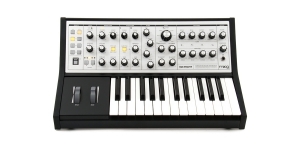 The synthesizer came out in 2 versions: Stage (a standard model with plastic sides) and Tribute Edition (the sides were made of wood and carry Robert Moog signature). 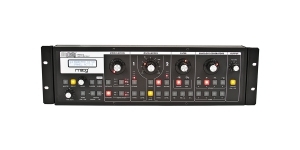 Slim Phatty is a rackmount version of Little Phatty. It can be either mounted in a rack (taking a 3U space) or be used as a desktop module (for convenience, the housing has a sloped rear side).